If you are not satisfied with your smile due to cosmetic imperfections, you can improve your smile with dental veneers. A way to completely transform the appearance of your smile, dental veneers are placed over problem teeth in order to conceal stains, discolorations, cracks, and other imperfections. At Cornerstone Dental Group, Dr. Ron Solomon and Dr. Angela Burleson-Ott are your dentists for cosmetic dentistry in Cincinnati, OH. Dental veneers are a cosmetic dentistry option for improving the appearance of teeth with certain types of flaws, such as discolorations, cracks, or rough surfaces. 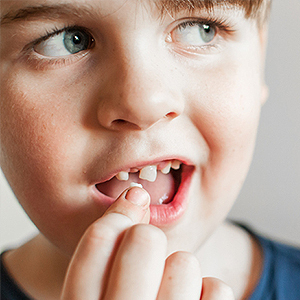 They are extremely thin porcelain covers that conceal imperfect teeth by being cemented securely in place. Once in place, dental veneers give your teeth a flawless new look so that you can enjoy the smile you have always wanted. In addition to concealing a variety of cosmetic flaws, there are other benefits associated with dental veneers, as well. One such benefit is how natural they look. 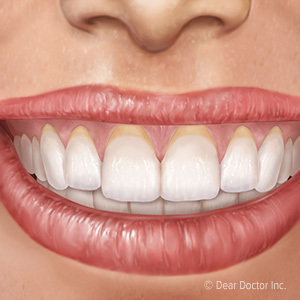 Dental veneers are made from porcelain, which has a striking resemblance to natural tooth enamel. Furthermore, dental veneers are custom made for each patient to achieve the ideal size, shape, and color for the best fit and most natural look possible. Finally, a major benefit of dental veneers is that placement is permanent so you will not have to worry about your veneers slipping out of place. Interested? Give our Cincinnati Office a Call! You can improve your smile with dental veneers. They look completely natural and can conceal many different types of cosmetic concerns. To find out if dental veneers are right for you, schedule an appointment with Dr. Solomon or Dr. Burleson-Ott by calling Cornerstone Dental Group, your Cincinnati cosmetic dentistry practice, at (513) 631-8920.